In my opinion, running shoes should not grace the feet of woman outside her exercise routine. I am not suggesting that all athletic footwear is a fashion faux pas, since as we all know there are exceptions to every re with every rule. One of those exceptions you can explore is the Converse brand. Nowhere near faux pas status, their all-American shoe is an icon, so popular that according to surveys 60% of Americans claim to have owned a pair at some point in their lives. Although created as basketball shoe almost 100 years ago, it was not until the 1950’s that Converse shoes graced the feet of some of the world’s biggest stars. Converse earned its iconic status on the feet of The Beach Boys, James Dean and Elvis. 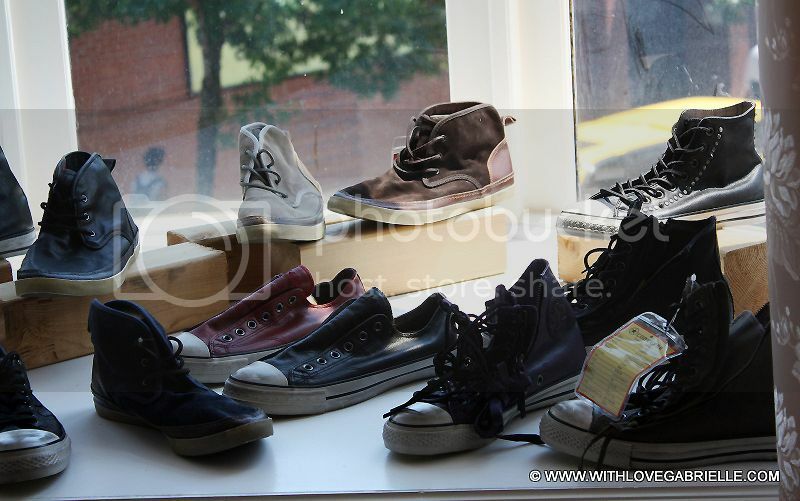 In the 21st century, Converse also holds a prominent place in many women’s closets along with the Louboutins and Manolos. 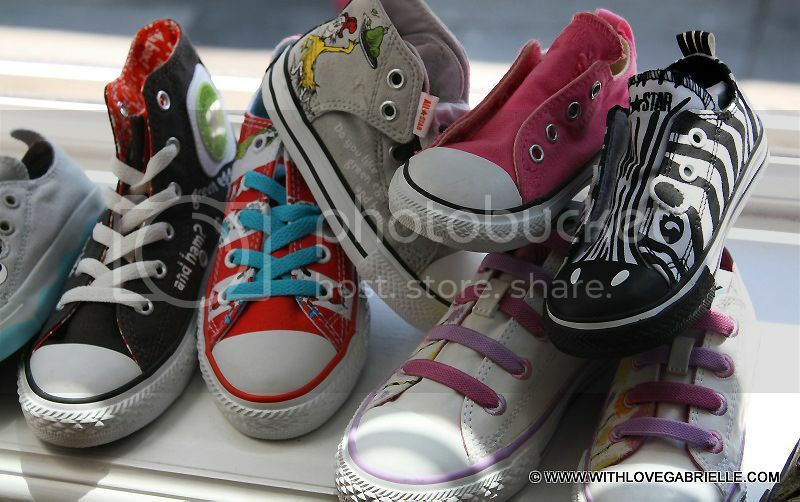 Last Thursday, I had attended a media preview for the Converse Fall 2011 collection and went ga-ga over the Dr. Seuss kids’ edition shoes. Who wouldn’t want to wear anything that states “I don’t like green eggs and ham”? As for the men’s collection, the John Varvattos kicks were AMAZING! As for me, I wore my favorite neon Pretty Ballerinas to the event. I figured that a lunch event called for a simple blouse and my newly favorite Club Monaco Zowie skirt with a pop of color courtesy of my shoes and nail color. What is your favorite way to wear Converse Sneakers? P.S. For more image from this event, CLICK HERE!